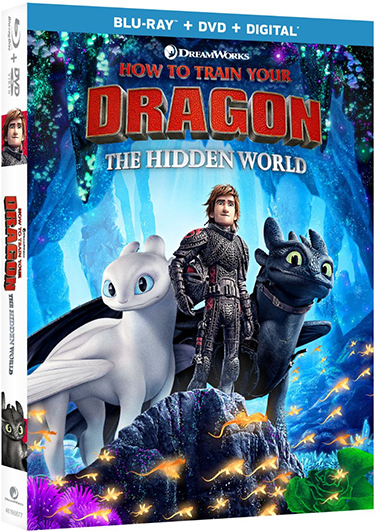 Nearly ten years after the first movie wowed audiences around the world, Hiccup and Toothless return to captivate fans with an adventure of a lifetime in DreamWorks Animation’s HOW TO TRAIN YOUR DRAGON: THE HIDDEN WORLD. The final quest from Dean DeBlois’ (Lilo & Stich, How to Train Your Dragon trilogy) arrives on Digital and via the digital movie app MOVIES ANYWHERE on May 7, 2019 and on 4K Ultra HD, Blu-ray, DVD, and On Demand May 21, 2019 from Universal Pictures Home Entertainment. Hailed as “the perfect conclusion to one of the best animated trilogies of all time” (Scott Menzel, We Live Entertainment) and certified fresh on Rotten Tomatoes, the film opened at #1 in over 40 markets. The 4K Ultra HD, Blu-ray, DVD and Digital versions feature over an hour of exclusive behind-the-scenes bonus content including an alternate opening, two DreamWorks animated shorts, deleted scenes and more. To mark the film’s global 4K Ultra HD, Blu-ray and DVD release, Universal has partnered with Facebook and Messenger to debut two exclusive adorable Night Lights (baby dragons) to train and an awe-inspiring in-store Augmented Reality (AR) experience. In pack, fans can unlock an exclusive code that reveals your very own Night Light that you can hatch, train, and send on adventures within the popular Dragon Pets Instant Game available on Facebook and Messenger. Additionally, participating retailers around the world will unveil in-store displays that trigger a visually stunning AR adventure bringing Toothless and Light Fury to flight! Both the in-home and in-store experiences are compatible with iOS and Android devices, and users should download the latest version of the Facebook and Messenger apps. –Bilby – Directed by Liron Topaz, Pierre Perifel and JP Sans; produced by Jeff Hermann and Kelly Cooney Cilella. Threatened daily by the deadly residents and harsh environment of Australia’s Outback, a lonesome Bilby finds himself an unwitting protector, and unexpected friend, to a helpless (and quite adorable) baby bird. –Bird Karma – Directed by William Salazar and produced by Jeff Hermann, the beautifully artistic 2D short film Bird Karma tells a delightfully lyrical and fully unexpected tale of a long-legged bird’s journey of blissful joy, inescapable greed and the accidental discovery of the consequences when too much is not enough. 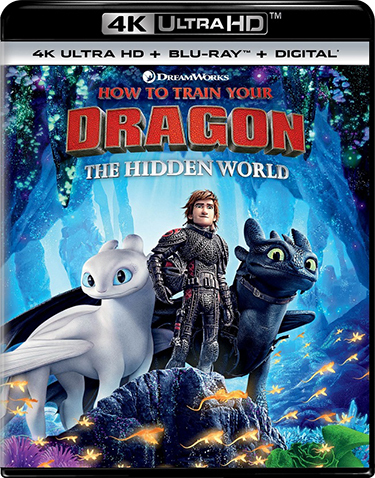 HOW TO TRAIN YOUR DRAGON: THE HIDDEN WORLD will be available on 4K Ultra HD, Blu-ray, DVD and Digital.